Make your wedding day one to remember with a prestige hire car from our collection. 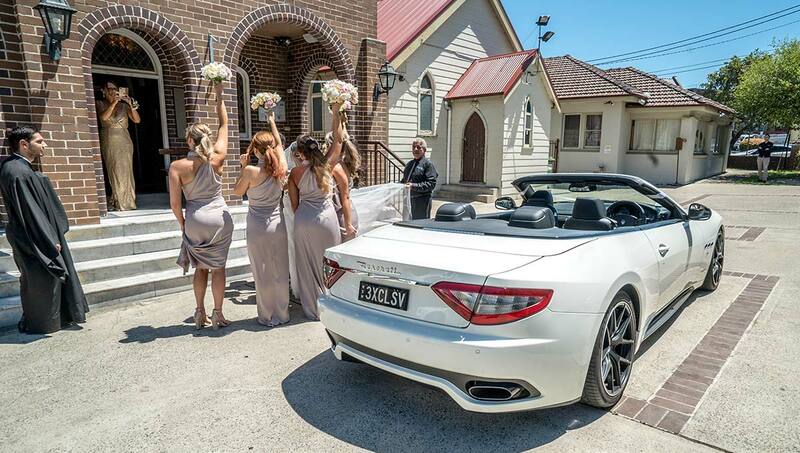 Based in Sydney’s West, Exclusive Events Hire offer a bespoke hire car service with an eclectic fleet of vehicles from the supercar exotics like Ferrari, Maserati and Porsche, right through to the luxurious Mercedes-Benz AMG. 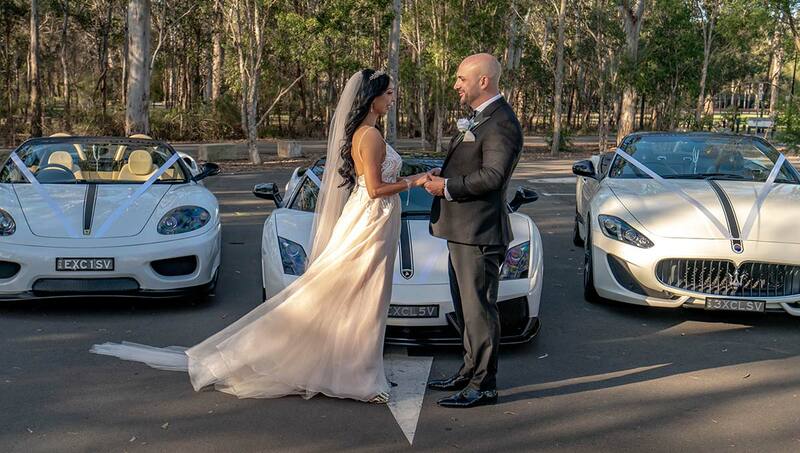 Our stunning cars are the perfect accompaniment to your special day. No matter what your style, we’ve got the just the one for you! Of course, organising a wedding can be a daunting task and arranging transport for the bride, groom and bridal party is certainly no exception. Thankfully, the team at Exclusive Events Hire are on hand to help. We work with you to coordinate pickup and set-down to and from the bridal ceremony, photo shoot, reception venues and accommodation. For your convenience, every wedding package also comes complete with a set of generous inclusions as standard, including a red carpet for the bridal car as well as drinks, snacks, white ribbons, umbrellas, tissues, mints, phone chargers and more! Our vehicles are 100% privately owned and maintained, featuring custom number plates, pinstriping and colour-coordinated paint in classy white and black across the entire fleet. Celebrate Your Special Day, the Exclusive Way!